The return to peace in 1945 resulted in early attempts to re-establish sporting activities albeit under difficult and sometimes confusing conditions. Such matters as Army reorganisations, deployments and demobilisations all caused problems. 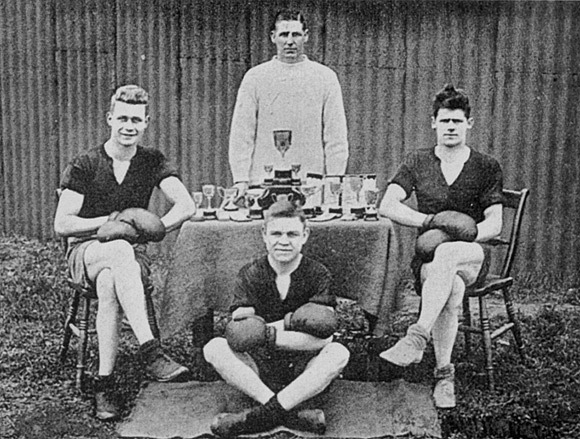 The Depot Queen's Recruits, Eastern Command Boxing Championship 1930. 2nd Bn The Queen 's Royal Regiment Winners of Army Colours 1932-33. Sgt Berry (Hockey 1932-33) Lt L C East (Fencing 1932), Pte C Reeves (Cross Country running). Following Inter Platoon and Inter Company Cricket matches at Chulalongkorn University in Siam in 1946 the 1st Queen's formed a Regimental Cricket team and soon emerged victorious in their first game by defeating 23rd Infantry Brigade Workshop by 32 runs. Later, on rejoining 114 Brigade at Sungei Patani in Malaya, they played a number of matches among which they defeated the Royal Air Force and 2nd Bn the West Yorkshire Regiment but lost to the 114th Brigade team. Outstanding players were Pte E Harris, who successfully captained the team, and Cpl N Rigby. Immediately on the Battalion's arrival in Bankok football was resumed. Initially the team was not up to pre-war standards but hard work and maximum effort eventually produced favourable results. Of 21 games played 18 were won, 1 drawn and 2 lost. The team were placed 2nd in the No.1 League, being surpassed by the Dutch 'A' Eleven. Portbury, Cpl Collins, Cpl Coles, L/Cpl Day, Cpl Whelan. Hockey had almost disappeared during the war years although at Shillong, during a rest period in 1944, a successful team had been formed under Lt Col G S Grimston (a pre-war Army player) and had won the Shillong Hockey Tournament. In 1946 another team was raised in Siam under the leadership of Maj Mott, the 2nd in command, and some successful results were achieved but not fully developed due to a move to Malaya. 5th Bn The Queen's C (MG) Coy Shooting Team. Best Territorial Company in TA Company Small Bore Rifle Match, 1930. Back row:- Sgt H V Lindsay, Pte C Simmonds, L/Sgt J Bishop, L/Cpl Hazell, Sgt R Buckler. Front row:- Lt J T Halsall, RSM W G Reeves DCM. L/Cpl Stovold, Pte Harding, L/Cpl Waddingham, Sgt Lawrence (Trainer). In India the 2nd Battalion, like the 1st, were undergoing many changes in personnel and routine as well as being involved in security and public order duties in the Bombay area. All this limited activities outside the camp although some varied entertainment and educational courses were arranged inside. Some Rugby football was played, with Maj Sewell and Pte Bushell being mentioned as the 'Pick' of the Backs, with Lt Clarke and the Padre distinguishing themselves in the Forwards. At Athletics hard training for the Sub Area Championship was undertaken. Of the ten British Units taking part the 2nd Queen's came 2nd with The Essex Regiment coming 1st. In the Inter Company Athletics Meeting C Company carried off the honours after a hard struggle. Capt McGill won Putting the Shot and the 100 yards. The Commanding Officer was 2nd in the 'Shot', while Sgts Bryant and Franklin were first and second in the High Jump. The 1st/6th Battalion were in the Middle East in 1946, firstly under Lt Col T V Close DSO and latterly under Lt Col H G Duncombe DSO. Competing against teams from the 6th Airborne Division at the 9th Parachute Battalion Athletic Meeting they won the Invitation Mile Medley Relay Race while the Tug of War Team won the South Palestine District Championships. The Battalion Swimming Team distinguished themselves in the same Championships, winning two first and three second places and qualifying for the finals of the Army Team Championships, Palestine. 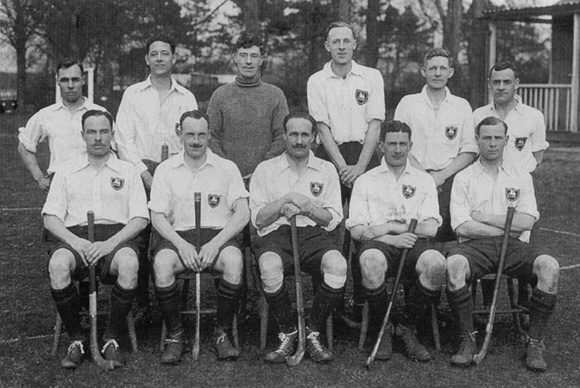 2 Queen's Hockey Team 1929-30. Runners-up Army Tournament. Back row:- Cpl Collins, Sgt Berry, L/Cpl Wines, L/Cpl Knight, Sgt Dixon, C/Sgt Swanick. 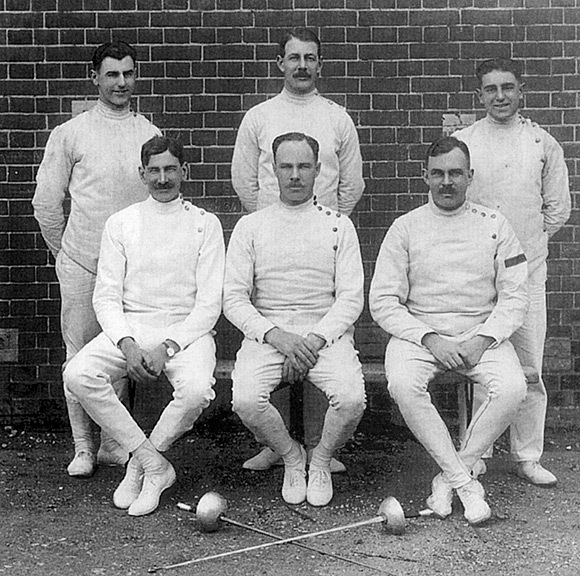 Front row:- Lt East, Lt Davis, Cpl QIliver, Lt Grimston, Lt Dyke. 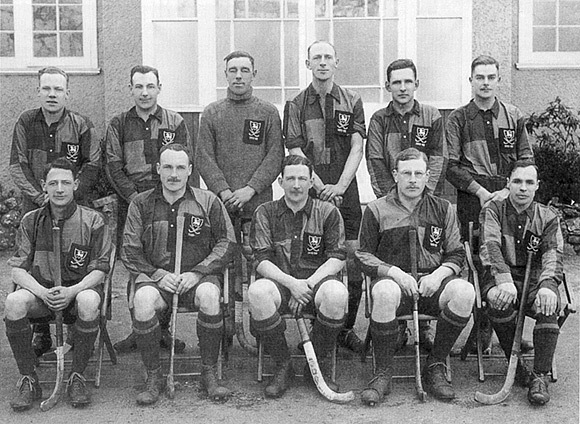 1 Queen's Army Hockey Cup 1933-34. Back row:- Sgt Cane, Sgt Julien, L/Cpl Wright, Cpl Knight, L/Cpl Wilmer, L/Cpl Bilborough. 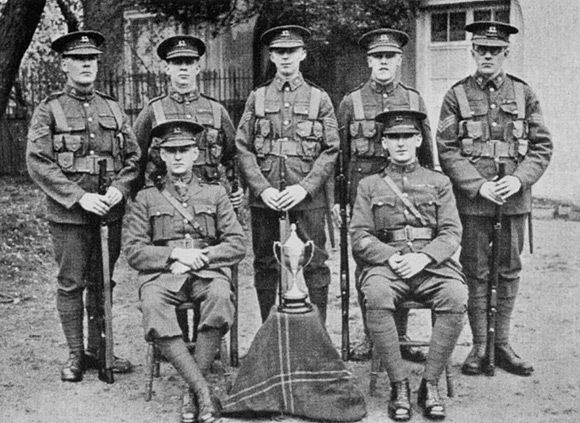 Front row:- Sgt Berry, Capt F J Davis, Lt G S Grimston, Lt J B H Kealy, Sgt Collins. The soldiers of the future, the Guildford Royal Grammar School Cadets, badged and affiliated to the Queen's, were achieving distinguished results at shooting. The Journal reported, "This (1946) has been the most outstanding year in the long history of rifle shooting success by the Guildford Royal Grammar School who wear the Queen's Badge". Competing against 2,332 teams from schools and youth organisations of the British Empire, they won for Britain the Imperial Challenge Shield in the 1945 competition, this being their 5th win of the trophy. Other honours included winning the Lord Milner Trophy, the Lord Roberts Trophy, nine King's Silver Medals, eight Bronze Medals, 63 qualifications as marksmen and 39 Empire First Class Shots. Well deserved Instructors' Silver Medals went to Sergeant-Major Instructor A L Stent. Other later successes included the Surrey Advertiser Cup and the Country Life class 'A' Cup. SMI Stent himself was a former Surrey County Champion and twice Regimental Champion Shot of The Queen's Royal Regiment. The Glorious First of June 1932. The Queen's Royal Regiment v HMS Excellent. Back row:- Sub Lieut F W R Laren, Lt Comdr D Lees, Lt C H Gregory? Comdr RP Selby, Lt G L Tidd, Rev T Crick. Front row:- Capt J B Phillips, Capt A P Block, Maj G K QlIiver, Lt Col RA ? Basset!, Capt B C Haggard. 1946 had shown that, against all odds, the Queen'sRegular, TA and Cadets - were getting back into their sporting and competitive stride. In 1947 the 1st Battalion were in Singapore, having arrived there in January from Sungei Patani. Typical of the fluid state of the times, and the resulting changes of personnel, was the fact that only one officer and three other ranks of the pre-war establishment were present. Such a state of affairs made sporting programmes and formation of teams difficult. At football and hockey some matches were played, mostly of a friendly nature, but there was nothing outstanding. The Commanding Officer Lt Col D L A Gibbs DSO hoped for an improvement in the future, little realising that his hopes would probably be dashed by forthcoming Army re-organisations. The 2nd Battalion, home in England after nine years overseas service, found themselves under similar difficulties. Before their return however, they had achieved some success in India, particularly in the Athletic Team Poona Sub Area Inter Unit championships. The Battalion excelled in the field events. Lt Col A J A Watson established two new district records in Discus Throwing and Putting The Shot. Pte Pakes and Cpl Brown finished second and third respectively in the Javelin Throwing while Pte Franklyn and Sgt Bryant finished 2nd and 4th respectively in the High Jump. After two days of excellent athletics the Battalion won the British Services Championship and finished third in the 29 competing teams in the Poona Sub Area Inter Unit Championships. In the later part of the year, at Singapore, the 1st Battalion were getting some minor cricketing action under Maj I P Thompson MC who was described as a "useful bat". Similar descriptions were applied to Capt J B C Palmer as well as Capt M A Lowry and Capt (QM) S W S Sharpe. SSI Osbourne APTC, Pte Pedgrift and L/Cpl Twitchen were also described as good bowlers. At football some matches were played, but none noteworthy, and again the constant changes of personnel were having an adverse effect. 2nd Bn The Queen's, Winners, Aldershot Command Inter Unit Fencing Competition. Cpl White, Lt J F K Ponsford, Cpl Allinsoll, Lt D LA Gibbs, Lt L C East, Lt K J Wilson. Hard work, particularly under SSI Osbourne, was put into efforts to raise an Athletics Team for the Singapore District Inter Services Annual Sports Meeting. Some success was obtained in Tug-of-War where the Battalion defeated the 1st Seaforths in the semi-finals but lost to the 1/7th Punjabs in the finals. Cpl Howe and Cpl Walden won the preliminary events for the 100 yards but were narrowly defeated in the finals. RSM Jimmy Kemp won his heat in the 880 yards (clocking a time of 2 mins. 15 secs.) while Lt T D Bennett won his preliminary event in the 220 yards (clocking a time of 24 secs.). 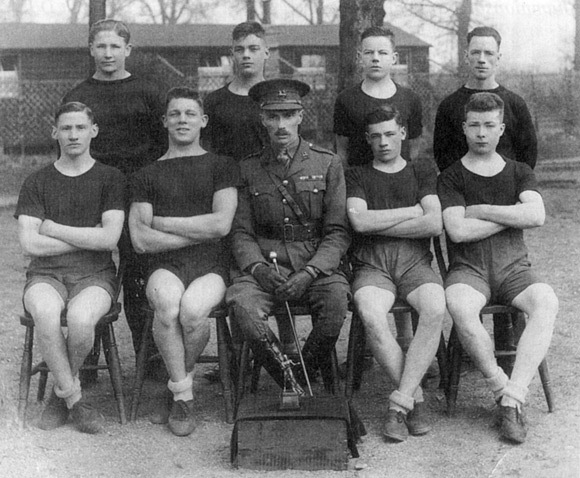 The 2nd Battalion, moved to Dortmund in May and were initially fully involved in getting their camp into order so there was little time left for sport. There were some successes at shooting, however, when the Battalion won the Unit Rifle and LMG Match at the Divisional Rifle Meeting. The Officers Team came third in the Officers' Revolver Match. 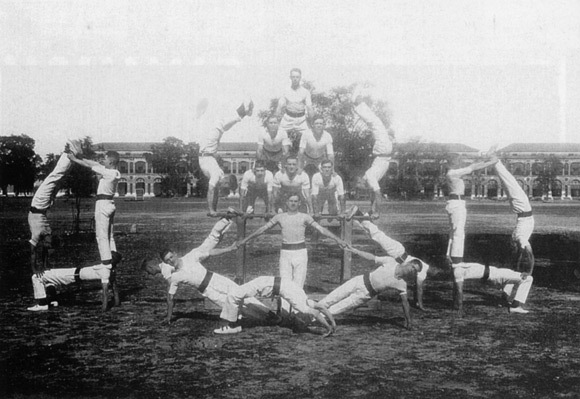 At the Depot much time was spent in training National Service Intakes but some time was found for sporting and competitive events. In the Instructors' Weapon Competition, APTC, CSMI J McLoughlin, APTC, was placed at Foil 1st, Sabre 1st and Epee 2nd. No.2 PTC won the Invitation Open Relay Team Event at 47th Coast Training Regiment, RA Athletic Meeting. At the Diving Competition of Guildford Youth Organisation the winner was Cpl E Ware. Lt B P Elverson represented the Home Counties District and Eastern Command at the High Jump Army Athletic Meeting while at the Small Arms School at Hythe, Sgt Feeney obtained a Distinguished and received a Congratulatory Message from the Army Commander. 1948 saw the continuing patterns of change in the Army but there were still some enthusiasts devoted to the causes of sport. In the 1st Battalion at Singapore Maj H R D Hill MBE organised and trained a hockey team until his departure to take up a Staff Appointment. Of five matches played three were won and two lost. In the only cricket match, played in the "Off Season", the Battalion defeated HQ Singapore District by 44 runs (118-74), L/Cpl Prendgrift taking 7 wickets for 23 runs. At the Battalion Rifle Meeting held at Seletar in September the Individual Event was won by Maj H R D Hill MBE with Pte Petken 2nd, SSI Osbourne (APTC) 3rd and Pte B Powell 4th. The winning Pistol Team comprised Lt Col D L A Gibbs DSO, Maj C F Cole, Capt (QM) S W J Sharpe, CSM Chalcraft, Sgt Johnson (Armourer) and Pte Bernstein. The winning Sten Team were A Company:- Cpl Parsons, Pte Boley, Pte Bates and Pte Sharkey. A Company won the Young Soldiers Team Event while 'B' won the Inter company Event. The "Falling Plates" Event fell victim to HQ Company 'C' Team. The Officers v Sergeants Event (under King George Cup Rules - for the Pink column) was won by the Officers under Maj H R D Hill MBE while the Officers v Sergeants (Falling Plates) was won by the Officers under Lt Col D L A Gibbs DSO. Prizes were presented by Lady Gibbs, the wife of the Commanding Officer. At Dortmund the 2nd Battalion were involved in training in the mountainous region of Aachen. Sporting activities were brought to an abrupt halt by the imposition of the zone blockade by the Russians and the ensuing airlift in which the Queen's were involved. The Depot, Territorial Army, Cadet Battalions and Schools Detachments were all under reductions or re-structuring processes so there were no sporting reports forthcoming at that time. On 9th September 1948 the 2nd Battalion was disbanded and its members became part of the 1st Battalion so their sporting achievements consequently became interlinked. Billetted in the Olympic Stadium at Berlin, members were able to enjoy the full advantages of two magnificent swimming pools. The resulting effects were very obvious at the British Troops in Berlin Inter Unit Team Championships when the Battalion won the Inter Unit Team Championships and were runners up in the Water Polo. At Lawn Tennis the Regiment won the Inter-Regiment Doubles Trophy for the first time. Capt N E Hooper (formerly of the 2/6th Bn) and Capt C J Grindley played together at Aldershot against the Royal Artillery and won the trophy without losing a set. 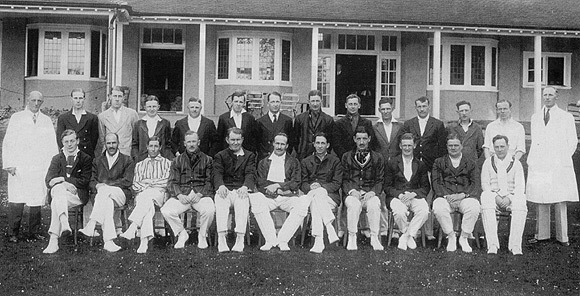 Subsequently Capts Hooper and Grindley were chosen to play for the Army in the Inter Services Match at Wimbledon. The cricketing season was not entirely successful. At Dortmund a match against the 1st Bn The Royal Fusiliers was, lost by 20 runs but there was more success against the 3rd Anti-Tank Regiment, RA when the Queen's won by an innings and 14 runs - "the win being due to a whirlwind innings of 64 by Maj Glennie", At Berlin the Battalion entered the British Troops Berlin Cricket League and finished in 5th place. Outstanding performers were Capt A C Lynch-Staunton and L/Cpl Aitcheson both of whom turned out regularly for the British Troops Berlin XI and were included in the British Combined Services XI. Football interest reputedly "soared to a high level" and games at battalion, company and platoon levels were arranged and keenly fought. The Battalion Team entered into the Berlin British Troops Senior League and won two and lost two of succeeding four matches. The Battalion 2nd XI, entered in the BTB Junior League and achieved similar results. At hockey matches played against RAF Gatow and the 11th Hussars both resulted in victories for the Queen's. A further match against 1st Bn The Worcestershire Regiment resulted in a draw. HQ British Troops Berlin, hitherto unbeaten, suffered defeat 1-0 at the hands of the Queen's. Victories in the BTB Summer Basket Ball Knockout Competition were achieved against the 11th Hussars, the Royal Engineers and, in the final, The Norfolk Regiment. Owing to travel restrictions caused by the Russian blockade the team were unable to represent BTB in the BAOR Competition. At the Home Counties Training Battalion at Shorncliffe commendable results were obtained by the Battalion at the District Sports Meeting and in the fields of cricket, basket ball and obstacle racing. 1949 found the 1st Battalion at Brooke Barracks, Berlin, having moved there from the Olympic Stadium on 18th October, 1948, the day that Lt Col T Hart-Dyke DSO assumed command. Duties for servicemen and civilians were arduous due to the continued imposition of the Russian blockade. Despite this, however, the Inter Company Efficiency Shield Competition was re-introduced involving contests in boxing, cross country, .22 rifle and drill. The Battalion boxing team defeated the 1st Battalion The Worcestershire Regiment at the Olympic Sports Club on 14th February but encountered stiffer opposition from the 1st Bn The Royal Norfolk Regiment a week later. The latter appeared to be in generally better form, winning several bouts, but the Queen's achieved a dramatic and satisfying victory when their Sgt Bill Redford knocked out his Norfolk opponent (ironically named Sgt Whackett). Of seven basket ball matches played, six were won and one lost. Sgt Bill Redford is described as a "stalwart guard". (One assumes that from his boxing record he must have been rather intimidating). Football results were promising, with hopes of winning the BTB Knock-out Competition. 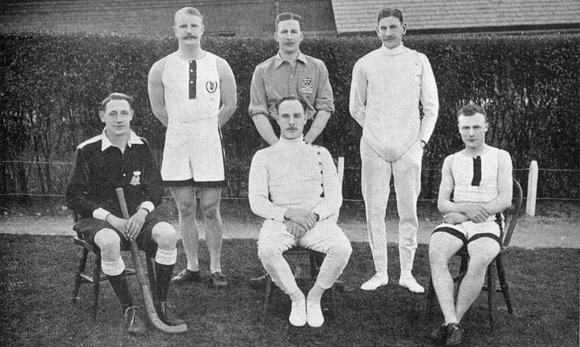 Conversely the hockey team were at a low ebb, losing badly to RAF, Gatow when several members were absent on leave. A good start at rugby in the early part of the season was unfortunately not maintained. The Cross Country Team did well to get second place in the Inter Unit Meeting with Cpl Callard running an excellent winning race over six miles in 36 minutes 4 seconds.